Born: February, 1959 at Perryton, Texas. 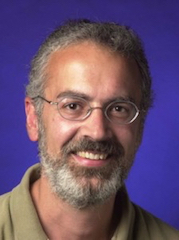 Married: Craig Gingerich (born February 27, 1959) June 14, 1980 at Zion. Born: November, 1967, Boise, Idaho. 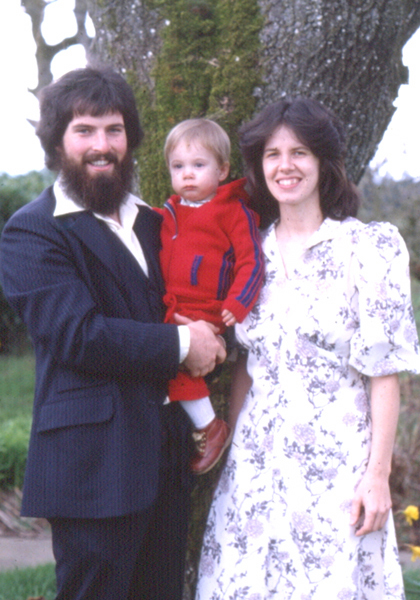 Baptized: May 27, 1984, by Lance Eisele, in Aberdeen, ID. Married: Dawn Hardt (born December 16, 1966) January 9, 1989. Present: Ministering in Meridian, Idaho at The Mission Place. Baptized: As a young person by her father; accepted as a member at Zion October 27, 1985. 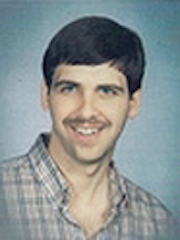 Married: David Searls June 19, 1998. Service: Youth leader July 1, 1999 – Apri1 10, 2001. 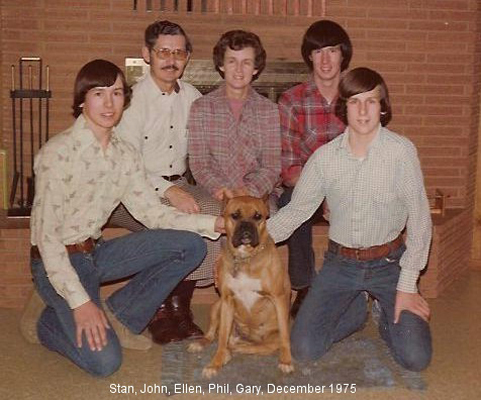 Baptized: 1980 Bartlesville Wesleyan Church. Accepted as member at Zion Sept. 19, 1999. 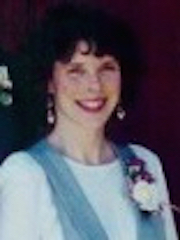 Married: Jennifer Hosler June 19, 1998. Present: Living in Canby, Oregon. Service: October 1, 1997 through June 30, 1999. Parents: Wilbert and Ruth (Welty) Regier. Ordained: Licensed for ministry October 4, 1992. Service: September 1, 1992 to August 31, 2002, when he retired. Died: August 1, 2012, burial at Zion. 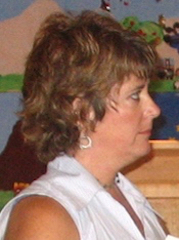 Service: September 1, 1989 to August 31, 1995 when she resigned to serve as instructor at Western Mennonite School. Ordained: Licensed as youth pastor. Ordained. 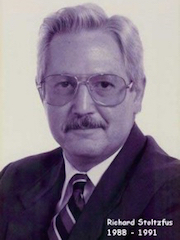 Became associate pastor in January 1992. Service: September 1, 1989 to June 3, 1996. Parents: Aaron F. and Ruth (Hostetler) Stoltzfus. Married: Florence (Flossie) Schrock (April15, 1944 – July 10,1990) November 14, 1964. Married 2) Kathy Shaver December 7,1991. Ordained: Licensed as a minister September 25, 1988; ordained December 3, 1989. Service: September 1988 – December 31, 1991, when he resigned mainly due to the pressure and toll of Flossie’s illness and death from cancer. 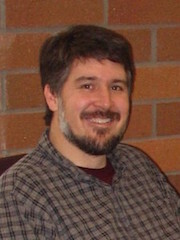 Died: Richard died in a plane crash near Cordova, Alaska on August 16, 2011. Parents: Homer and Kate (Steckley) Schlegel. Baptized: As a youth at Albany Mennonite Church; backslid and eventually as an adult was converted and joined the Baptist Church. Service: March 6 to November 20, 1988. 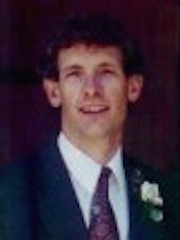 Ordained: Licensed for pastoral ministry in February 1987; served as interim pastor following John Oyer’s leaving. 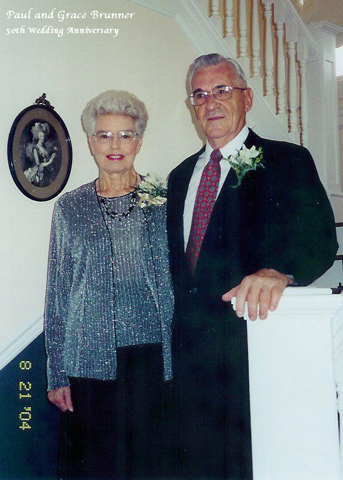 Parents: Perry J. and Ada (Lehman) Blosser. Married: 1) Louella Gingerich (April 24, 1918-May 28, 1983) September 19, 1949; 2) Elsie Zook. Ordained: Minister in 1949. Served many years in China and Japan. 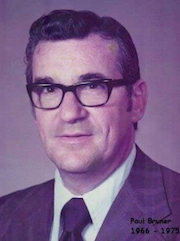 Service: Interim pastor August 1 through December 1983 while John Oyer was on sabbatical. Married Elsie after his return to Iowa. Parents: J. Frederick and Fern (Troyer) Erb. Present: Living in Crossville, Tennessee. Paul is a builder. 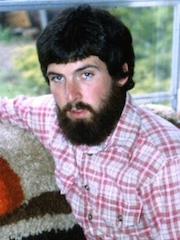 Ordained: Commissioned as youth pastor February 5, 1978. Service: Until November 1980 when he resigned. Born: October 14, 1930, St. Johns, Michigan. Parents: Daniel S. and Phoebe (Zook) Oyer. Married: Married Ellen Jennings (born August 3,1931, died November 27, 2014) June 14, 1953 by Sherman Maust in Fresno, Calif.
Ordained: Following seminary in 1954 John and Ellen moved to Ohio where John was pastor of Leetonia Mennonite Church in Leetonia, Ohio 1954 to1960. 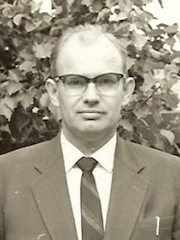 He was ordained at Leetonia Mennonite Church Feb. 19,1956 at the age of 26. 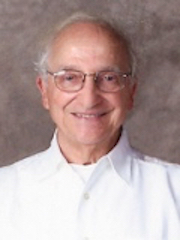 In 1960 he returned to Goshen to finish his Bachelor of Theology degree. This was followed by a year of Clinical Pastoral Education. 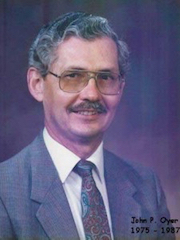 He was pastor at Rocky Ford Mennonite Church 1961 to 1975. Service: September 1975 until 1ate 1987. 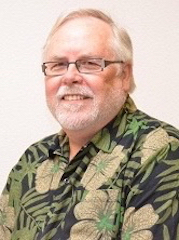 Resigned and moved to Phoenix, Arizona where he served as chaplain at Glencroft Retirement Community, Glendale, AZ. Died: October 7, 1989 in Phoenix, Arizona, of cancer; burial at Zion. Parents: Edgar and Anna (Derstine) Brunner. Beech Mennonite Church -1983 – 1991. It was at the Beech Church that Grace was also ordained and a team ministry began and extended for the rest of their active years. After leaving the Beech Church, Paul and Grace began eight years of interim pastoring in six areas of the country, retiring in 1999 in Hesston, Kansas. and in various Conference assignments. They also spent some hours helping their daughter who owned the Sunflower Patch in Hesston. Two children: Scott, born May 14, 1963 has 2 children and lives in Canton, Ohio and Beverly Ann Goertzen, born November 17, 1960 has 3 children and lives in Hesston, Kansas. Born: December 21, 1906, Souderton, Pennsylvania. Parents: Joseph W. and Katie (Derstine) Hackman. Married: Ada Clemens (1908- ) June 25, 1925. Died: April 11, 1983; buried at Carstairs, Alberta, Canada. Ordained: Minister in 1944 at West Zion Mennonite Church, Carstairs, Alberta, where he served officially as pastor 1945 to 1962. 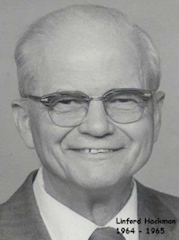 Service: Interim pastor during the 1964-1965 school year. Parents: Lewis and Olive (Miller) Garber. 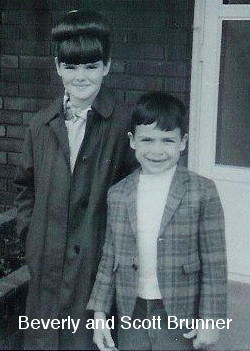 Ordained: Deacon May 28, 1961. Died: April 4, 2006, burial at Zion. Born: March,1932, In Norristown, Pennsylvania. Moved to Lederach, Pennsylvania, the village of his family at age 11. Parents: Willis K. and Mary (Mensch) Lederach. Baptized: 1945 at the Salford Mennonite Church in Lower Salford Township near Lederach, Pennsylvania by Bishop John E. Lapp. Married: Naomi Kauffman on May 16, 1954 at Clinton Brick Mennonite Church by A. H. Kauffman, Naomi’s father. 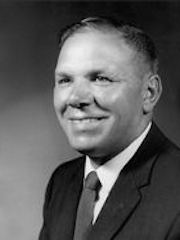 Ordained: Minister at the Sunnyside Mennonite Church, Elkhart, Indiana, by Bishop S. J. Hostetler on August 7, 1955, by the Indian-Michigan Conference. He was 23 years old. 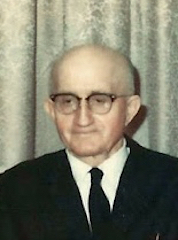 Installed as pastor at Zion, December 8, 1957. Ordained bishop September 11, 1960 at Zion, by Bishop C. I. Kropf of Zion and N. M. Birkey from Fairview, (Albany). John was Zion’s last bishop, as that position was gradually phased out and replaced by Overseers and Conference Ministers. 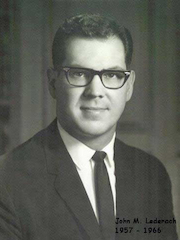 Service: Pastor at Zion from September 1957 until August 1966, when they returned to Seminary at Goshen Biblical and Associated Mennonite Biblical Seminaries in Elkhart Indiana. 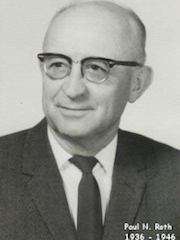 In 1968 the family moved to Hesston College where John became Campus Pastor, administrator and faculty member and Naomi taught in the Nursing Department. They stayed at Hesston College for 16 years. 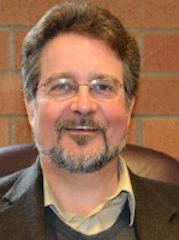 In 1978 John earned a Doctor of Ministry degree from San Francisco Theological Seminary. They were called to extend their years in N. Ireland, serving with the Greenfield Community in Portadown, Northern Ireland, A small Anabaptist congregation. *Note: All of the following men were ordained, usually by lot, from within the membership of the congregation or had moved in as ordained men and all were self-supporting. Changes were occurring throughout the Mennonite Church by the 1950s and things began to be done differently. 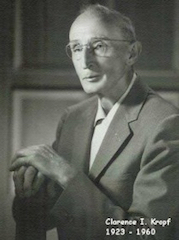 At Zion, Edward Yoder had moved to Ohio in 1954; Clarence Kropf turned 65 in 1950. Ministerial help was becoming limited, especially as outreach was expanded to include two mission churches. After consultation with Sanford C. Yoder, churchman from Goshen, Indiana and an affirmative vote from the congregation, the decision was made to call and fully support a pastor from outside the local congregation. This was a time of new beginning. Not only was a salaried minister called; he also had seminary training. 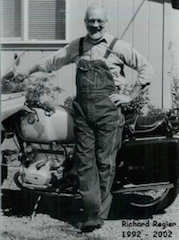 Born: November 18, 1914, east of Hubbard, Oregon. Parents: William and Emma (Troyer) Kenagy. Married: Edna Gingerich (born May 19, 1917) May 29, 1940, Hesston, Kansas. Present: Kelly and Edna retired to live in Silverton, Oregon. Baptized: October 17, 1920, in Rock Creek below the Zion Church, by A. P. Troyer. Ordained: Minister July 17, 1949, at Zion. Service: Soon after his ordination, he was asked to start a Sunday school in the Silverton Hills, east of Silverton, Oregon. He served there and preached at Zion as well until about 1955 when he moved his family to the Silverton Hills community. Born: February 8, 1895, Middlefield, Ohio. Parents: Jonas and Emma (Stutzman) Gingerich. Married: Lydia Troyer (April 28, 1901-February 5, 1985) April 28, 1912 in Kansas. Baptized: Probably early 1917 into the Amish Church in Ford County, Kansas. Two years later he moved to Reno County, Kansas, where he transferred his membership to the Yoder Mennonite Church. Ordained: Moved to Oregon about 1945. Ordained deacon April 27, 1947, at Zion. Died: May 4, 1982, Mennonite Home in Albany; burial at Zion. Born: November 22, 1908, Kenmare, North Dakota. Parents: Daniel B. and Mattie (Sharp) Kauffman. Married: Leona Yoder (August 9, 1913-October 20, 2004) September 12, 1937. Baptized: In North Dakota; received by letter at Zion November 30, 1919. Ordained: Minister at Zion on July 29, 1945. Service: Until 1950 when he was asked to serve in the Meadowbrook Mission near Mulino. Served there until 1966. Died: November 24, 1966, of a heart attack at Stayton, Oregon; buried at Zion. Born: September 8, 1900, Albany, Oregon. Parents: Martin and Rosina (Neuschwander) Roth. Baptized: As a young person at Fairview Mennonite Church, Albany, Oregon. Ordained: Minister August 31, 1924, at and for the Portland, OR Mennonite Mission congregation. 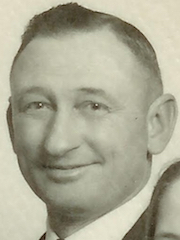 Service: The Roth family left Portland and moved east of Hubbard where they were received as members at Zion December 13, 1936 and Paul was accepted as a minister as well. He served until the summer of 1946 when he withdrew from Zion. Died: November 28, 1979; buried Lincoln Memorial Park, Portland, Oregon. Born: December 7, 1887, Belleville, Pennsylvania. Parents: I. T. and Barbara (Allgyer) Yoder. Married: Mayme M. Hostetler (March 21, 1895 – October 15, 1945) 1913 in Oregon. Baptized: As a youth in Pennsylvania. Came to Oregon about 1912 as a single man. Transferred membership to Zion at that time. 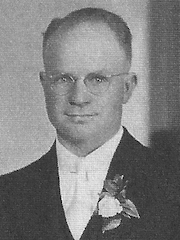 After marriage the family returned to and lived in Belleville, Pennsylvania, for several years, again returning to Oregon where he placed his membership with Zion on October 13, 1929. Ordained: Deacon March 29, 1936. Service: Until his death in 1946. Died: November 24, 1946, Salem, Oregon following a heart attack; buried at Zion. Born: February 6, 1844, Milersburg, Ohio. Parents: Jacob and Rachel (Yoder) Yoder. Married: Mary Mishler (d. June 1912) September 10,1865. Baptized: 1862, Holmes County, Ohio. Ordained: Minister in 1893 for the Oak Hill congregation west of Eugene, Oregon, by Joseph M. Schlegel. 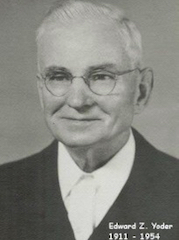 Service: Served at Zion: Now widowed, he moved to Zion in 1922 where his ministry was recognized in 1924. Served until 1930 when he returned to the Albany area; likely preached very seldom because of his age. Died: January, 1934; burial at Albany. Born: November 24, 1885, Garden City, Missouri. Parents: John and Charity (King) Kropf. Ordained: Deacon, July 1, 1923; Bishop, July 7, 1935. Service: July 1, 1923 until September 11, 1960, when he retired. Died: September 9, 1969; buried at Zion. Born: November 28, 1875, Logan County, Ohio. Parents: John J. and Marcha (Zook) Kauffman. 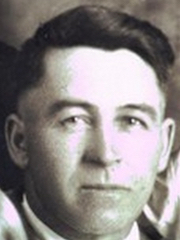 Married: Mattie Sharp (February 10, 1880-Ju1y 22, 1952) December 25, 1898, in Cass County, Missouri. Baptized: 1891, Cass County, Missouri. Ordained: Moved to North Dakota immediately after marriage. Ordained minister November 4, 1904, by S. G. Lapp, in North Dakota. Service: Moved to Oregon in 1919 and accepted as a minister at Zion where he served until his untimely death in 1928. Died: December 28, 1928, Woodburn, Oregon; buried at Zion. Born: July 6, 1881, West Liberty, Ohio. Parents: Ezra B. and Nancy (Zook) Yoder. Married: Alice Troyer (July 9, 1888-June 8, 1959) December 12, 1909, by her father, Amos P. Troyer. Baptized: Summer of 1909 at Kenmare, North Dakota, Spring Valley Mennonite Church. Ordained: Minister August 27, 1911, at Zion. Service: Until 1954 when he retired and moved to Ohio to live with his youngest daughter, Kathryn (Mrs. Warren) Miller. Died: August 31, 1957, in Ohio; buried in Zion cemetery. *Note: The following three men were all charter members of the Zion Amish-Mennonite Church when it was organized in June 1893. Born: April 30, 1868, near Glendale, Jefferson County, Iowa. Parents: Joseph and Mary (Egli) Roth. Married: Amanda Kauffman (December 13, 1876-Ju1y 1, 1955) January 25, 1900 at Hubbard, Oregon. Baptized: 1883 in Stuttgart, Arkansas, where the family had moved after living for a time in Hickory County, Missouri. 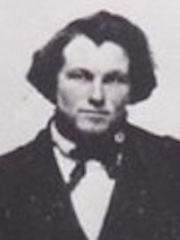 Daniel moved to Oregon in 1889 as a single man. Service: Until his death, although his services were limited in later years because of illness and disability. Died: October 14, 1923; burial in Zion cemetery. Born: March 3,1861, Baden, Ontario, Canada. Parents: David and Magdalena (Oesch) Kropf. Married: Anna Hostetler (March 24, 1866-March 5,1938) December 29,1885. Baptized: 1879, Sycamore Grove congregation, Cass County, Missouri, by Jacob Kenagy. 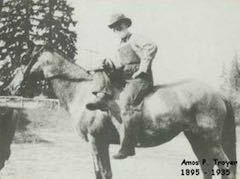 Ordained: He and his young family moved to Oregon in November 1889. He was ordained minister in June 1893 in the same service that Amos Troyer was ordained deacon, by Joseph M. Schlegel. Service: June 1893 – March 1911, when he moved to Harrisburg, Oregon and later, September 29, 1914, was ordained bishop there. Died: March 25, 1927; buried in the Alvord Cemetery, Harrisburg, Oregon. Born: December 12,1856, Wayne County, Ohio. Parents: Peter and Elizabeth (King) Troyer. Married: Delilah Yoder (March 20, l857-Ju1y 26, 1934) January 1, 1878. Baptized: 1877 in Cass County, Missouri by Jacob Kenagy. Ordained: The family moved to Oregon in the fall of 1892. 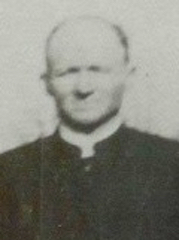 Amos Troyer was ordained deacon in June 1893 by Joseph M. Schlegel. On December 12, 1895, he was ordained minister, then went through the ‘lot’ with Daniel Kropf and was ordained bishop December 15, 1895, both services performed by Joseph M. Schlegel. Service: June 1895 until his death. Died: October 23, 1935; burial Zion Mennonite Church cemetery. 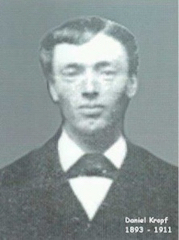 While neither a resident of Oregon nor a member at Zion, Joseph M. Schlegel was the person who led in the organization of the Zion congregation in 1893 and held bishop oversight until mid-1895. Born: November 11, 1837, near Mulhausen, Alsace, Germany. Parents: Joseph and Melinda Schlegel. Married: Mary Miller (February 14, 1847-Apri1 25,1923) August 23, 1863. Baptized: Immigrated to Ontario, Canada, with parents at age 17; later moved to David County, Iowa. Became a Christian and was baptized into the Amish-Mennonite Church as a youth, probably while living in Ontario. Ordained: Minister, 1867; bishop, 1868, both at Wayland, Iowa. In 1879 he moved to Nebraska where in later years he served his conference district as an itinerant evangelist among and to the scattered Mennonites in the West; thus he made more than one trip to Oregon in that work. Service: June 1893 to December 1895. Died: December 23, 1913, at Milford, Nebraska.